I admit I'm partial to Lake Anne neighborhoods--they are beautiful and convenient to all the amenities Reston has to offer. Lake Side Cluster is a great Reston neighborhood that does not get as much attention as it's famous neighbor, Waterview Cluster. And frankly, the community likes it that way. This is a friendly, quiet, unassuming neighborhood. 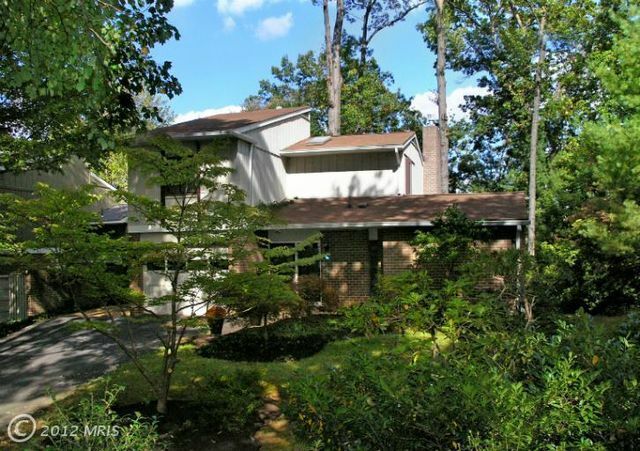 The houses on Greenbriar Lane are nestled among the trees, making you feel removed from the hustle and bustle of Reston. Lake Side Cluster has everything all of the neighborhoods that border Reston's Lake Anne share--access to the lake, a quick walk to Lake Anne Village Center, well-designed homes (many of which are direct lakefront). Lake Side Cluster was build between 1965 and 1969, and comprises 90 lovely two and three level town homes with two to four bedrooms--and garages (which makes them different than most of their Lake Anne neighbors). All homes have lake access via a trail to the cluster dock, even if they are not direct lakefront property. The Cluster couldn't be positioned better. It is located on Greenbriar Road and Orchard Lane off Fairway Drive, which is the south shore of Lake Anne. Fairway Drive provides easy access to both North Shore Drive and Wiehle Avenue. For families with children, the cluster is an easy walk to Lake Anne Elementary. Children also attend Langston Hughes Middle and South Lakes High School. For the parents, Lake Side Cluster is only 1.5 miles to the Reston Station Metro, and a short hop to Reston Town Center and the Toll Road. And, of course, a five minute walk to Lake Anne Village Center--home of the Reston Farmer's Market and several great mom-and-pop restaurants.